Since its founding in 1836, Emory University has grown into a national teaching, research, and service center with an enrollment exceeding 11,000. A coeducational, privately controlled university affiliated with the United Methodist Church, Emory awards more than 2,500 degrees annually. In addition to the Rollins School of Public Health, the University’s academic divisions include Emory College and Oxford College, the Graduate School of Arts and Sciences, and the schools of Medicine, Allied Health, Business, Law, Nursing, and Theology. Among the centers for specialized research and study at Emory are the Graduate Institute of Liberal Arts, the Center for Ethics in Public Policy and the Professions, the Emory Center for International Studies, the Center for Healthcare Leadership, the Center for AIDS Research, the Center for Molecular Medicine, the Center for Geriatrics, the Center for Clinical Evaluation Sciences, the Emory Vaccine Center, the Center for Research in Faith and Moral Development, the Soviet, Post-Soviet, and East European Studies Program; and the Michael C. Carlos Museum. Campus-based independent affiliates include the National Faculty for the Humanities, Arts, and Sciences; the African Studies Association; the American Academy of Religion; and the Georgia Endowment for the Humanities. Emory University maintains formal exchange agreements with the following universities abroad: Oxford and Lancaster (England); St. Andrews (Scotland); Beijing, Xiamen, and Xi’an Medical (People’s Republic of China); Johannes Kepler (Austria); Kobe and Kwansai Gaukuin (Japan); Yonsei (Korea); Augsburg, Berlin, Gottingen, and Regensburg (Germany); University of Trieste (Italy); Montpellier University (France); the Pushkin Institute and St. Petersburg State University (Russia); and Tbilisi State University (Republic of Georgia). 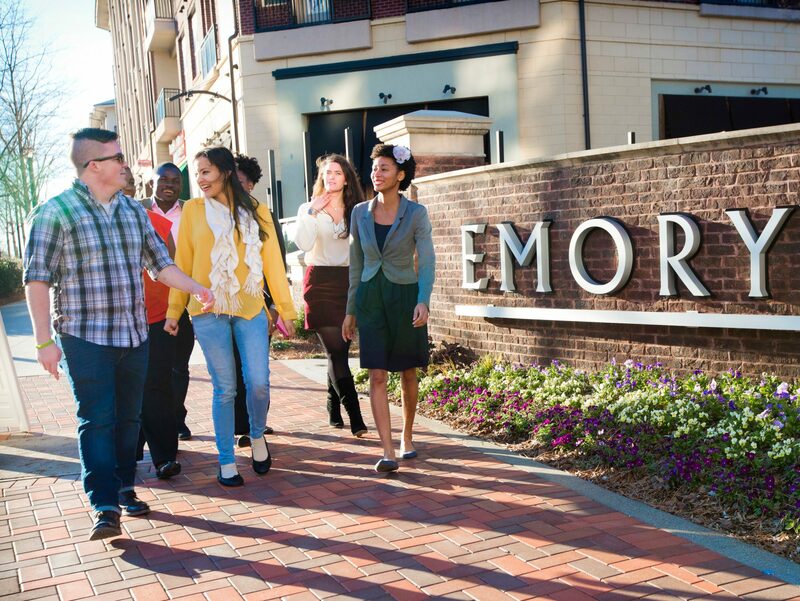 Emory’s emergence as a prominent national institution has paralleled Atlanta’s emergence as a city of growing stature and influence. Emory’s part in this development began with its capital funds campaign in 1979, built around the unprecedented gift of $105 million from the late Robert W.Woodruff, former chairman of The Coca-Cola Company, and his late brother, George W. Woodruff. That campaign ignited a period of remarkable growth at the University. Through the Woodruff endowment and other gifts, Emory continues to build a faculty of distinguished scholars known for teaching and research. In recent years, this faculty has achieved the third-highest rate of growth in research dollars and grants of any university in the country. The Emory student body record is distinguished as well. In the past decade, Emory has produced five Marshall fellows and seventeen Rhodes scholars and has matched many Ivy League schools in the number of competitive scholarships awarded to graduates. Ranked among the top twenty-five research universities in America, Emory is striving for preeminence in all its programs.